Suggested 50¢ vend. Will dispense in machines with a 2" vending wheel. 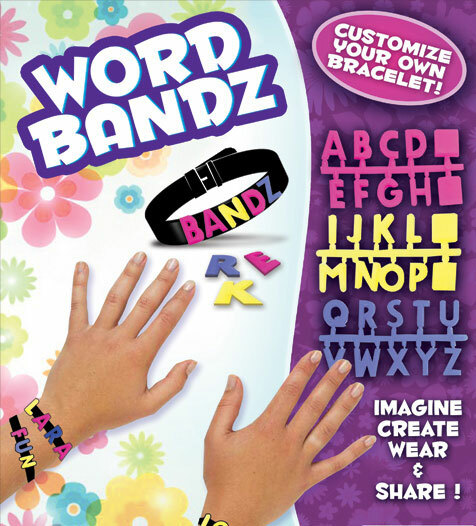 Customize your own bracelet with our Word Bandz Vending Capsules! They are a fun way to show off your own style. Each capsule comes with one bracelet and the complete alphabet. Every bag offers an assorted mix of 250 toy capsules which are pre-filled for your convenience making it quick and easy to load into your bulk vending machine. These toy filled capsules are ready to vend and will dispense in machines with a 2 inch capsule vending wheel. The display card (as pictured above) is a printed display with an example of the items found in the mix and is included FREE. Display cards add value and attract more attention. Looking for empty toy capsules? You can find 2" Empty Acorn Capsules here! This toy mix is intended for bulk vending machines.